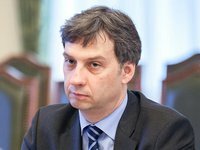 The National Bank of Ukraine (NBU) has allowed companies and banks with foreign investments to repatriate dividends for 2018, NBU Deputy Governor Oleh Churiy has said. "We've allowed the repatriation of dividends for 2018. Today, we still have a so-called 'monthly limit' of EUR 7 million. Now [within this limit] it will be possible to repatriate [dividends] for all the years," he said at a press conference in Kyiv on Wednesday. At the same time, Churiy added that the central bank plans to raise this limit to EUR 10 million, and fully cancel this requirement in future. At the same time, he did not specify the time frame for such decisions.